Phoenix Models: one limited edition collectible, die cast airliner model, in a 1/400th scale of a McDonnell Douglas DC-10-40F in the Aeroflot Airlines Old 1990’s Color Scheme. Airframe Registration VP-BDG. The model is constructed of metal with some plastic parts. This product was released in November, 2006. Phoenix Models: one limited edition collectable, die-cast airliner model in a 1/400th scale of a Boeing B767-36N/ER in the Aeroflot Russian Airlines Current Color Scheme. Airframe Registration VP-BAX. This model is constructed of die-cast metal with some plastic parts. This product is available beginning in January, 2015. Phoenix Models: one limited edition collectible, die cast metal airliner model, in a 1/400th scale of a Boeing B777-300/ER in the Aeroflot Russian Airlines Current Colors Scheme. Airframe Registration VP-BPG. The model is constructed of metal with some plastic parts. This product was released in September, 2018. Phoenix Models: one limited edition collectable, die-cast airliner model in a 1/400th scale of a Boeing B777-39M/ER in the Air Austral Airlines Current Color Scheme. Airframe Registration F-OREU. This model is constructed of die-cast metal with some plastic parts. This product is available beginning in December, 2014. 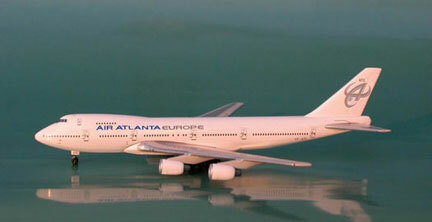 Phoenix Models: one limited edition collectible, die cast metal airliner model, in a 1/400th scale of an Airbus A340-313 in the Air Belgium Airlines Current Colors Scheme. Airframe Registration OO-ABA. The model is constructed of metal with some plastic parts. This product was released in September, 2018. Phoenix Models: one limited edition collectible, die cast metal airliner model, in a 1/400th scale of a Boeing B777-233/LR in the Air Canada Airlines NEW 2016’s Colors Scheme. Airframe Registration C-FIUJ. The model is constructed of metal with some plastic parts. This product was released in September, 2018. Phoenix Models: one limited edition collectible, die cast metal airliner model, in a 1/400th scale of a Boeing B777-233/LR in the Air Canada Airlines NEW 2016’s Colors Scheme. Airframe Registration C-FNND. The model is constructed of metal with some plastic parts. This product was released in September, 2018. Phoenix Models: one limited edition collectable, die-cast metal airliner model in a 1/400th scale of a Boeing B777-333/ER in the Air Canada Airlines NEW 2016's Colors Scheme. With special titles Go Canada Go in honor of the 2018 Canadian Team to Korea. Airframe Registration C-FITL. This model is constructed of die-cast metal with some plastic parts. This product is available beginning in July 2018. 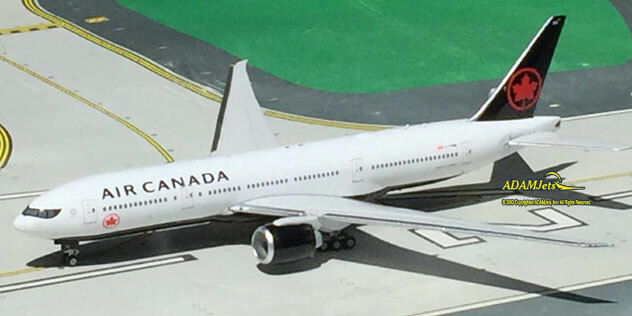 Phoenix Models: one limited edition collectable, die-cast metal airliner model in a 1/400th scale of a Boeing B777-333/ER in the Air Canada Airlines NEW 2016's Colors Scheme. Airframe Registration C-FITW. This model is constructed of die-cast metal with some plastic parts. This product is available beginning in July 2018. Phoenix Models: one limited edition collectable, die-cast metal airliner model in a 1/400th scale of a Boeing B787-9 Dreamliner in the Air Canada Airlines Special Olympic Games LogoJet Colors Scheme. Airframe RegistrationC-FRSR. This model is constructed of die-cast metal with some plastic parts. This product is available beginning in May, 2018. Phoenix Models: one limited edition, collectible die cast airliner model in 1/400th scale of an Airbus A350-941 in the Air Caraibes French Caribbean Airlines 2010’s Colors Scheme. Airframe Registration F-HHAV. The model is constructed of metal with some plastic parts. This product was released in July, 2017. Phoenix Models: one limited edition, collectible die cast airliner model in 1/400 scale of an Airbus A330-243 in the Air China Airlines Current Colors. Airframe Registration B-6080. The model is constructed of die-cast metal with some plastic parts. This product was released in October, 2010. Phoenix Models: one limited edition collectable, die-cast airliner models in a 1/400th scale of the Boeing B767-332/ER in the Air China Airlines Current Colors. Airframe Registration B-2499. This model is constructed of die-cast metal with some plastic parts. This product is available beginning in June, 2014. Phoenix Models: one limited edition collectable, die-cast metal airliner model in a 1/400th scale of an Airbus A350-900 in the Air Mauritius Airlines NEW Colors Scheme. Airframe Registration 3B-NBQ. This model is constructed of die-cast metal with some plastic parts. This product is available beginning in November 2017. Phoenix Models: one limited edition collectible, die cast airliner model, in a 1/400th scale of a Boeing Airbus A321-271Neo in the Air New Zealand Airlines All Blacks Colors Scheme. Airframe Registration ZK-NNA. The model is constructed of metal with some plastic parts. This product was released in December, 2018. Phoenix Models: one limited edition collectible, die cast airliner model, in a 1/400th scale of a Boeing Airbus A321-271Neo in the Air New Zealand Airlines NEW Mainline Colors Scheme. Airframe Registration ZK-NNB. The model is constructed of metal with some plastic parts. This product was released in December, 2018. Phoenix Models: one limited edition collectible, die cast airliner model, in a 1/400th scale of a Boeing B777-219/ER in the Air New Zealand Airlines Special All Blacks Colors Scheme. Airframe Registration ZK-OKH. The model is constructed of metal with some plastic parts. This product was released in December, 2018. Phoenix Models: one limited edition collectable, die-cast metal airliner model in a 1/400th scale of an Airbus A350-1041 in the Airbus Industries in the Carbon Fiber Colors Scheme. Airframe Registration F-WLXV. This model is constructed of die-cast metal with some plastic parts. This product is available beginning in May 2018.